Francis Edwin Birtles was an Australian adventurer, photographer, cyclist and filmaker, who set many long distance cycling and driving records. In 1905 Birtles became the first person to ride a bicycle across Australia, setting out from Fremantle and riding to Melbourne. In 1907 - 1908 Bertles cycled to Sydney and then, via Brisbane, Normanton, Darwin, Alice Springs and Adelaide back to Sydney, In 1909 he published a book about his trip "Lonely Lands" as well as setting a new cycling record from Fremantle to Sydney. In 1910 - 1911 he rode around Australia, by 1912 he had cycled around Australia twice and had crossed the continent seven times, also in 1912 Berlles became one of the first to make a West to East crossing by car from Fremantle to Sydney in a Brush Runabout, with driver Syd Ferguson. In 1912 he and his brother Clive and Bulldog Wowser set off from Melbourne in a Flanders touring car to Sydney, Brisbane, Charters Towers and then the Gulf of Carpentaria, From the Gulf they drove down close to the Northern Territory border and arrived back in Melbourne in 1913. 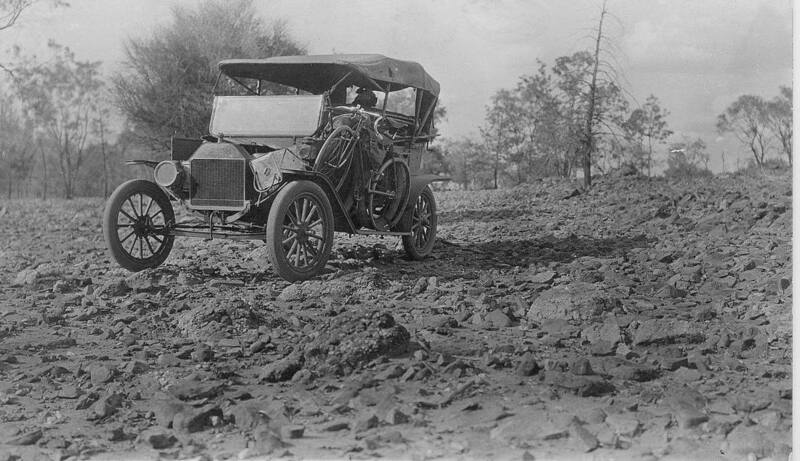 In 1915 Birtles left Sydney on a 6 month long tour following Burke and Wills track ending in Adelaide, were he became very ill, on Recovery he proceded on to Burra, Port Augusta, Quon, Cooper Creek and Normington, Driving on to Melbourne via Cape York, Hughenden, Tambo, Roma, Toowoomba and Brisbane, That trip covered 7,000 miles in 7 months. He Then Drove from Melbourne to Swan Hill and Menindee to finish the movie of the Burke and Wills track. The film was called "Across Australia in the tracks of Burke and Wills. In 1915 a Trial was was held that left Adelaide and traveled up the coast to Queensland and across to Darwin. One entrant in that trial was a Australian adventurer and filmaker Francis Birtles in a Duncan and Frazer built T model Ford. 1915 - Photos: Ian Smith.